So friends in this M series mobiles company make tagline #power so thing company proves it how? I explain it. In M20 you got 6.23-inch FHD+ PLS TFT infinity-v display that has a good contrast to compare to IPS LCD display but not as good as Super AMOLED. This display comes with WIDEVINE L1 CERTIFICATION so you enjoy all HD streaming platform in HD. Next, we got a dual rear-facing camera with a wide angle lens in a secondary camera. The main camera has 13MP(F1.9)and secondary have 5MP(F2.2) depth sensing and wide angle. the front camera has 8MP(F2.0). These cameras are taking pictures well. So we talk about this M series tagline #power so this thing attaches with a processor. in this mobile SAMSUNG give newest processor EXYNOS 7904 which is octa core processor. It has two upper cores and six lower core (2*1.8Ghz and 6*1.6Ghz). which is a pretty good processor and you also play pubg in this processor seamlessly. This processor has 14 nm chipset. So in last, I talks about the biggest problem smartphone users have is that battery is draining fast especially Samsung user so SAMSUNG saw this problem in consumer solve it with this M series. Because in this M series you will get 5000 mah battery with fast charging support with C-TYPE cable. So you are excited about this mobile price. 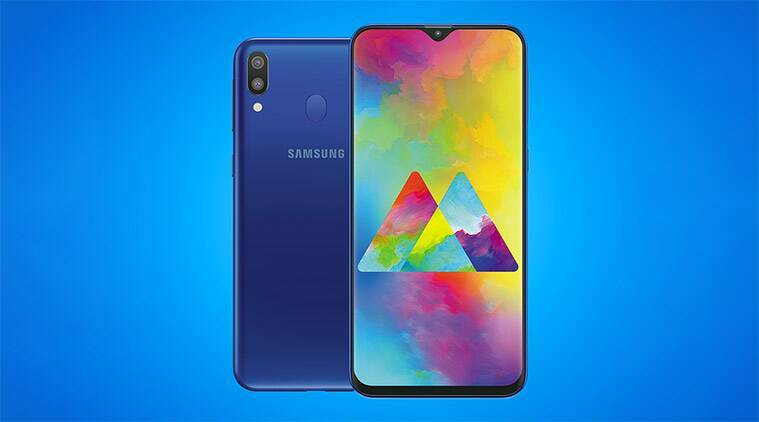 These mobiles have two variants (4GB/64GB) AT 12,990/- and another one is (3GB/32GB) AT 10,990/-.If you are interested so this sale is started from 5 Feb 2019 GO and grab it.